European Gourmet Export is a trading house specialized on exporting German and European bakery and pastry ingredients. The product portfolio covers bread mixes and improvers, cake mixes, chocolate, decoration and other pastry ingredients. Products are sold either under European Gourmet Export’s brand name “Heide’s Best” or as tailor-made customer private label product. 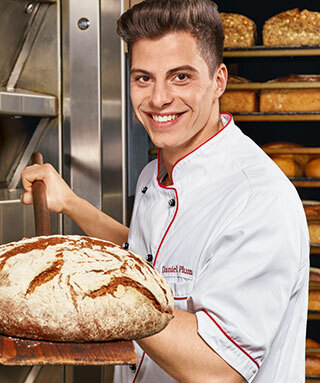 European Gourmet Export works together with German or European based companies manufacturing bakery, pastry and food ingredients. These suppliers have massive experience with their product lines and sell them successfully in their domestic markets. Head office is located in Frankfurt. Orders are coordinated from here. European Gourmet Export offers to consolidate shipments according to the needs of the customers.